Whether a residential move for your family or a commercial move for your business, we provide you an honest quote with no hidden fees. Looking for Moving or Storage Services in Macon, Georgia? A.C. White offers all of the experience and equipment you should expect from a top tier Savannah moving company. We are based on the north side of Savannah in the suburb of Pooler, GA. From this location, we are able to provide our moving services to all coastal and surrounding communities. A.C. White is pleased to serve your needs for residential moving, business moving, storage, data and records management, and specialized logistics. Since 1972, A.C. White has been providing Savannah with the care and attention of a family-owned moving company matched with the industry leading resources of United Van Lines. To get a FREE quote on your next Savannah move, contact A.C. White Savannah. Experience the difference of a family-owned moving company. We are a 4th generation family-owned business, and over the past 90 years, earning the trust of your family has been our focus. Your family will be assigned a personal moving coordinator that will work with you from start to finish. Whether you are moving to or from Savannah, A.C. White has the resources and experience that you won’t find with any other moving companies. Research shows that most businesses move every 5-7 years. A.C. White has the resources and planning experience that is crucial to executing the most efficient office moving. 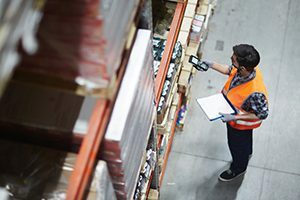 Our expertise and equipment mean less downtime and a quick return to full productivity for your business. Some of our great business moving features include preparing and protecting your new office space from damage during the move, cleaning your previous office space, and we even supply a small moving crew once you are moved in for any rearrangement of items that needs to be made. Contact A.C. White to find out more about our business movers. A.C. White has your solution for storage in Savannah. Our storage facility offers much more than you will find with self-storage or mini-storage. At A.C. White, we believe that if it is worth storing, it’s worth storing it right. Learn more about how A.C. White Storage will work for your storage needs. 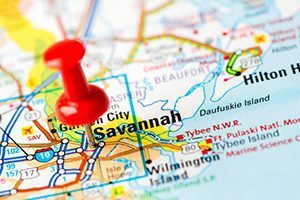 A.C. White is proud to serve the Savannah area, including, but not limited to: Brunswick, Fort Stewart, Garden City, Hinesville, Pooler, Richmond Hill, Rincon, Savannah, Statesboro,Thunderbolt, Tybee Island, and Wilmington Island. Our service range includes but is not limited to customers within the following zip codes: 31401, 31402, 31403, 31404, 31405, 31406, 31407, 31408, 31409, 31410, 31411, 31412, 31414, 31415, 31416, 31418, 31419, 31420, 31421, 31498, 31499.